XR is extremely strong, but its most remarkable characteristic is that it is twenty times more abrasion resistant than a normal mono. 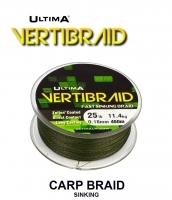 Designed and developed with the help of two of the most respected carp anglers in the world, Steve Renyard and Lee Jackson, the abrasion resistance of this line is simply outstanding. What is also remarkable, especially for such a tough line its that it is soft, supple, and casts like a dream. If you are facing hard snaggy waters, Power Carp XR has to be the choice. Available in distressed camo silt grey. In forty years of carp fishing, Power Carp XR is the most impressive main line I have ever seen. It’s so silky smooth, XR casts like a dream and is incredibly strong. But above all, I have never come across a line that is so abrasion resistant for its diameter. "Power Carp XR, three European records in one month. If it’s tough enough for me it’s tough enough for you"
"Power Carp XR gives me an enormous sense of confidence because of the unique distressed camouflage silt colour and incredible abrasion resistance. The way it disappears on the lake bed is astonishing." 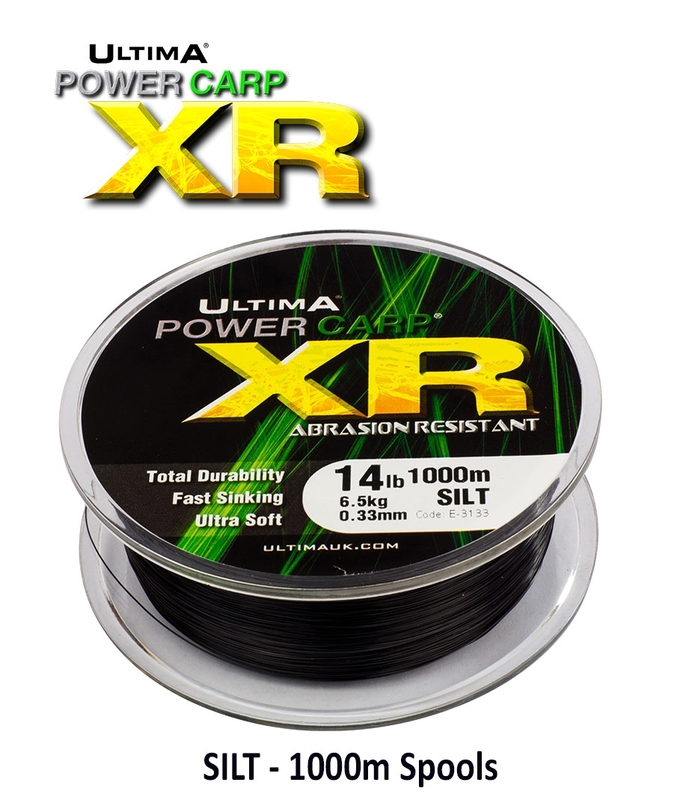 "Power Carp XR delivers enormous casting range as well as remarkable abrasion resistance." "The abrasion resistance of XR is just astonishing. Nothing else comes close." "When choosing a mainline, look no further than Ultima XR. 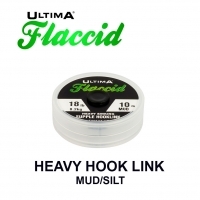 I use this mainline on large windswept reservoirs in the south west as I have 100% confidence in it, it casts like an dream and sinks like a brick." Power Carp XR is a fantastic all round mainline. It is incredibly durable and by far the best sinking mono I have ever used. 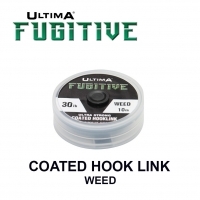 Its super smooth for casting when fishing at distance. But its main feature is its strength. It's unbelievably strong and has got me out of many sticky situations. 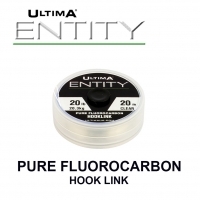 "I have been using Ultima Power Carp XR exclusively line now for over five months now. The lake that I am fishing is fairly weedy in places and some of the spots are over a 100 yards out. I have had many fish weed me up on the way in and XR has helped me land every fish so far. The abrasion resistance of this line is unreal and has not shown any sign of damage. This line casts and sinks like a dream. 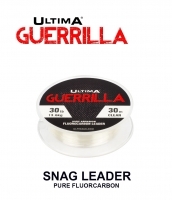 I often fish with heavy leads and without a shock leader as they are banned. This can be a problem for some lines, but with the XR performs perfectly. If you're looking for a line that casts really well, has amazing abrasion resistance and sinks like a brick then Power Carp XR is the one." Power Carp® XR has been engineered to deal with what is often the carp anglers biggest problem, abrasion. The development and inclusion of a unique aluminium derivative has increased the abrasion resistance of XR to more than twenty times that of normal monos. There is no other line that comes even close in terms of what it will stand up to. Incredibly, Power Carp® XR is not only the toughest line you can lay your hands on but also the softest and casts like a dream. Apart from these amazing characteristics one also has to remember XR is super strong with a very high knot strength, low stretch and sinks quickly. As Lee Jackson says, "In forty years of carp fishing this is the best line I have ever seen."